All area Yale alumni and guests are invited to a reception and talk with the dean on Tuesday, May 15, 6:30 to 8:30 p.m., at Ivar’s Acres of Clams at Pier 54 on the Seattle waterfront. 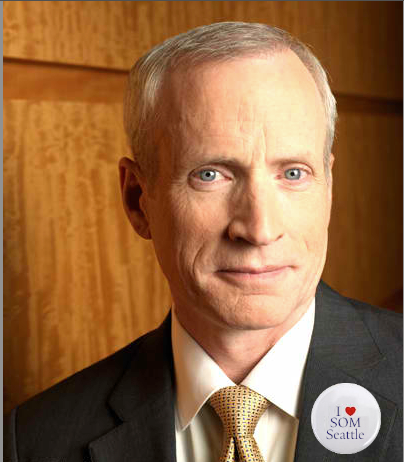 Dean Snyder will speak on his vision for the school in the fast changing context of MBA education. The event is free, but please RSVP by May 8: http://bit.ly/I484q9. Seats will open to non-Yalies next week, so register today to reserve your seat. Have market-oriented economies won? Have practices converged? What’s the role of government? Have market-oriented economies become more globalized? What big issues are on the horizon that management schools need to be preparing their students for and how is Yale SOM doing this? This will be Dean Snyder’s first official reception with alumni in Seattle, and a wonderful opportunity for you to connect with him and with fellow alumni. A reception with Dean Snyder will precede and immediately follow the discussion. For more information about Dean Edward A. Snyder, please see: http://mba.yale.edu/faculty/profiles/snyder.shtml.